The 21-year-old actress Ariel Winter in a black hoody leaves a gym in Studio City. The 21-year-old actress Ariel Winter, who in 2016 began dating actor Levi Meaden, in a blue ripped jeans was seen Out in LA. The 21-year-old actress Ariel Winter was seen out in Los Angeles. The 21-year-old actress Ariel Winter, who provided the voice for Penny Peterson in the 2014 feature “Mr. Peabody & Sherman”, in a gray long sleeves T-shirt leaves a yoga class in LA. The 21-year-old actress Ariel Winter in a short beige coat on the set of “Modern Family” in LA. The 20-year-old actress Ariel Winter, who in June 2015 underwent breast reduction surgery, in a short black coat arrives at a cooking class party in Sherman Oaks. The 20-year-old actress Ariel Winter, who in 2016 began dating actor Levi Meaden, in a black turtleneck was seen out in Studio City. 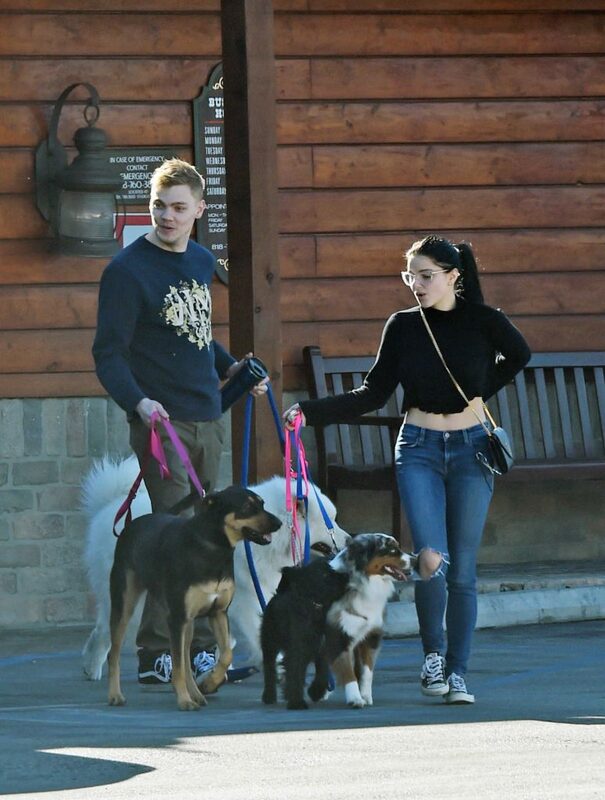 The 20-year-old actress Ariel Winter walks her dogs out with Levi Meaden in Los Angeles. The 20-year-old actress Ariel Winter, who provided the voice for Penny Peterson in the 2014 feature “Mr. Peabody & Sherman”, in a gray sweatpants returns home from a Christmas road trip in LA. The 20-year-old actress Ariel Winter in a white sweatshirt was seen out in Los Angeles.